Is a Passenger in Possession of Drugs? A recent decision of the United States Court of Appeals has clarified a longstanding dispute between defense lawyers and prosecutors regarding “constructive possession”. Typically, “constructive possession” is defined as a situation where an individual has actual control over something without actually having physical control of that thing (the allegedly illegal item). In Michigan or in federal court, a person with constructive possession is just as guilty as a person with actual, physical possession. This would come up frequently when when there is an allegation of a passenger in possession of drugs. Both state prosecutors and Assistant United States Attorneys frequently argue that the passenger in a car is in “constructive possession” of drugs or weapons in a car merely because of that person’s proximity to the contraband. This argument has been used not only in cars but also in houses and businesses when a person is physically near something found or believed to be illegal. 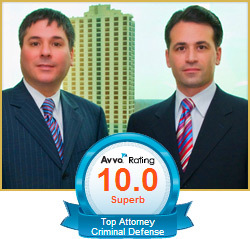 Defense lawyers with LEWIS & DICKSTEIN, P.L.L.C. have countered this argument over the past decades by arguing that proximity alone is not enough to show constructive possession. We have argued that something more must be required to prove a connection between the passenger in the car or the person in proximity to the drugs or weapons. In the recent case of United States v. Jorge Esqivel-Ortega, Mr. Ortega was convicted at trial for possession with intent to deliver 15 kilograms of cocaine. He was the passenger in a car with the drugs hidden in a secret compartment in the bumper. The prosecution’s theory was that “he must have known” but there really was no additional direct or circumstantial evidence he was actually aware or had knowledge of the contraband. The court found that a person accused of being a passenger in possession of drugs may not be convicted unless there is evidence connecting him with the contraband, other than his mere presence in the vehicle. In the court’s opinion, it referenced other cases where it has been found that even the smell of marijuana in a car is not enough to show that a passenger is aware of marijuana found within a car as the smell could have lingered from a previous occasion. The conviction in this case was reversed. The Defense Team with LEWIS & DICKSTEIN, P.L.L.C. 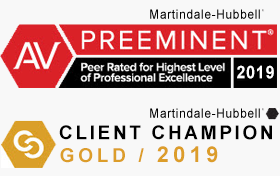 is committed to providing the highest possible level of defense and protection for our clients charged in state and federal courts in Michigan with felony and misdemeanor charges. Our highest priority is to get charges dismissed when possible. If you are accused of being a passenger in possession of drugs or of any felony or misdemeanor criminal offense, we can help you. 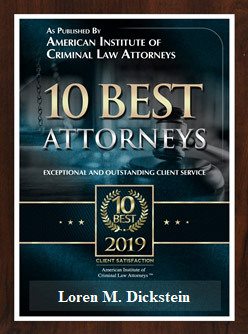 Please call us today at (248) 263-6800 for a free consultation or complete a Request for Assistance Form and an experienced criminal defense lawyer will promptly contact you.